James A. Crothers, 72, of Alden, passed away on December 5, 2018 at Munson Medical Center. Jim was born on February 1, 1946, in Traverse City, the son of Percy and Geraldine (Zimmerman) Crothers. 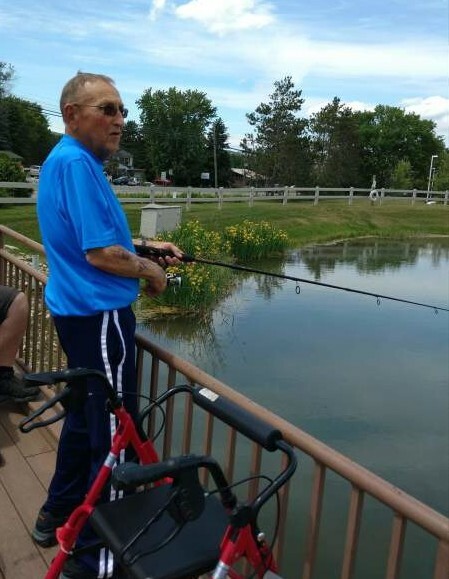 Jim was a longtime resident of Alden and was active around the communities. He was a volunteer fireman for Alden for over 20 years, was on the Mancelona Public School Board and was employed at Super Tool in Elk Rapids, a janitor at Mancelona Public Schools and retired from Lamina Bronze in Bellaire. He attended the Pathway Community Church in Mancelona and enjoyed coaching his children, hunting, fishing, gardening and camping. Jim will be remembered for his great personality as a joker, and his genuine care for others. On February 27, 1965, in Alden, he married Melba McCarty who survives. Also surviving are 3 children, James Crothers Jr. of Mancelona, Jacquelyn (Bill) Siersma of Zeeland, MI, Scott (Spring) Crothers of Alden, 9 grandchildren, Robbie, Cassandra, Molly, Taylor, Austin, Kaitlyn, Maddy, Kenzie, Cameryn, 5 great-grandchildren, Bailey, Madeline, Teagan, Xavier, Emerson, a brother Percy (Louise) Crothers of Jenison, MI, and a sister Annette Jeltma. He was preceded in death by his parents, in-laws, Leathel and Marion McCarty, a sister-in-law Joanne Thompson and 2 brothers-in-law, Larry McCarty and Joe Jeltma. Funeral services will take place on Monday, December 10, 2018 at 11:00 a.m. at the Pathway Community Church in Mancelona with Pastor Dan Grimes officiating. Interment will be private in the Helena Township Cemetery in Alden. Visitation will be Sunday from 2:00-4:30 p.m. at the Mancelona Chapel of Mortensen Funeral Homes. Memorial contributions may be made to the Pathway Community Church C/O Hands and Feet Camp, P.O. Box 438, Mancelona, MI, 49659.